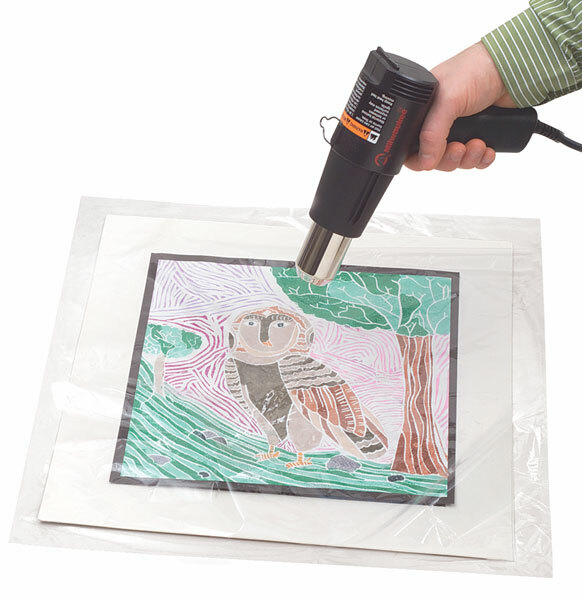 This shrink film, made of polyolefin, provides protection to your artwork, and makes a distinguished professional presentation. Use Shrink Film with a heat sealing system like the Mini-Wrap Shrink Packager. 75 gauge archival quality polyolefin. 100 ft (30.5 m) roll.